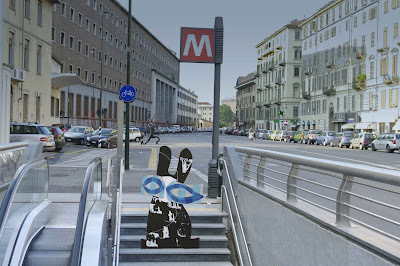 Wabsworth the Wabbit’s android double made it to the Metro without incident and the Hit Rabit followed. "No problems so far," said Wabsworth to himself. "All is going according to plan." 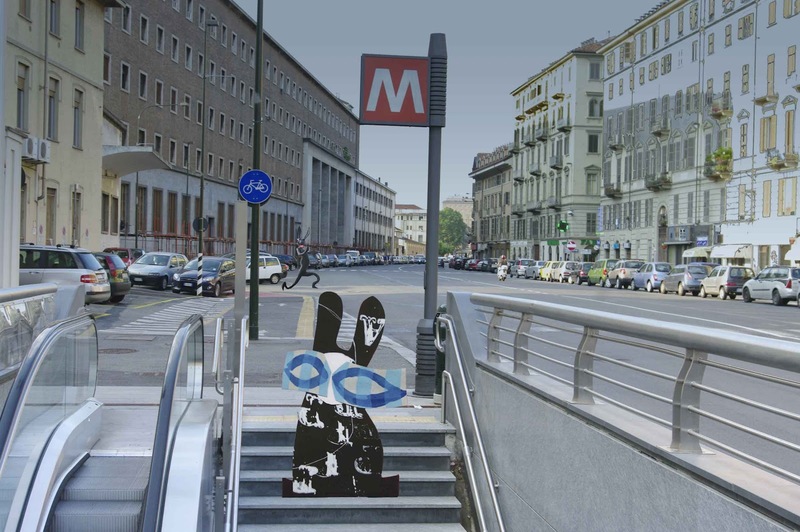 But Via Nizza at the railway station end was fur-raising enough on its own and as Wabsworth hopped past signs of urban change that were not in his data banks, he postponed his plan to nod amicably to passers-by. "I need to update the Wabbit on socio-economic matters," he thought. But the big Metro logo was both welcoming and reassuring and Wabsworth paused at the top of the steps to make sure the Hit Rabit knew exactly where he was going. He wondered what kind of weapon the Hit Rabit used, because he his sensors didn’t indicate anything at all and he found that slightly creepy. "Perhaps he’s going to hypnotise me with his menacing eyes," thought Wabsworth and then he giggled, because he was an android and he couldn’t possibly be hypnotised. Wabsworth found it difficult to acknowledge that he wasn’t really the Wabbit. In most respects he felt like the Wabbit and was therefore drawn to do the things the Wabbit would do. This made him want to break the rules. Left to his own devices, he would have preferred to hide behind something, then kick the Hit Rabit onto the railway track as he went past and shout something rude. But he thought better of it, rummaged in his fur for his weekly ticket and hopped on down the steps. "This would be the wrong day to meet a ticket inspector," he thought.